Be sure to check your email (you entered above)... You'll find your eBook there! "Healthy food whilst trekking has always been a passion of ours. The need for the body to have the right balance of nutrients is a critical part of such an activity. 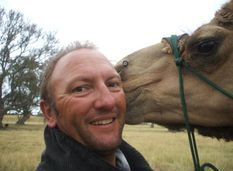 We're proud to offer some of the fantastic recipes used with the camel trek safaris with Outback Australian Camels. This cookbook has come about owing to the demand from our customers wanting the recipes after they have been on safari with us. These meals have been selected from a long list of available trekking meals which personally I (Russell) would have preferred to have had on the Darwin to Melbourne Thank You Camel Expedition 2008-2009. Trekking such distances in such remote locations doesn’t allow for the luxury of a variety of meals such as in this cookbook. They are simple meals that can be easily prepared at home or whilst camping and have been sourced from all over Australia. 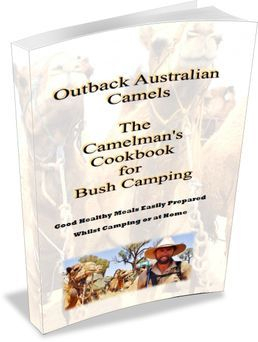 We sincerely hope you get as much pleasure from the meals contained in this cookbook as we get from creating them whilst camel trekking.